I've been playing EVE for over four months and really enjoying it. Although I only have a couple hours a night to play, I don't think I could handle more time with it. PvP and piracy can be intense, and living in low-security keeps me on edge constantly. It's emotionally draining to just travel around. The environment provides the exact grand emotions I originally sought, yet I admit I occasionally wish for more meditative gameplay (e.g. mindlessly farming mobs). I've created a more informal journal for my EVE experiences and thoughts: Horrible Ball of Fire. The higher level design articles related to EVE or MMORPGs I will continue to post here on TATI, but any play session that I feel is story-worthy, no matter how inconsequential, I will record on Horrible Ball of Fire. I often video record fights so that I can review them later and identify mistakes, but I also post them on youtube to share. My favorite article thus far is about my attempt to destroy a battleship with my tiny frigate: So a Wolf and Armageddon walk into an asteroid belt. My heart was racing and my stomach was full of butterflies from the moment I spotted the ship on scanner until the fight was over. It was the most emotionally intense experience I've ever had an in video game. So if you are interested in reading more frequent and informal stories and analysis, then be sure to check out Horrible Ball of Fire. I try to keep the jargon down, but some times I forget. 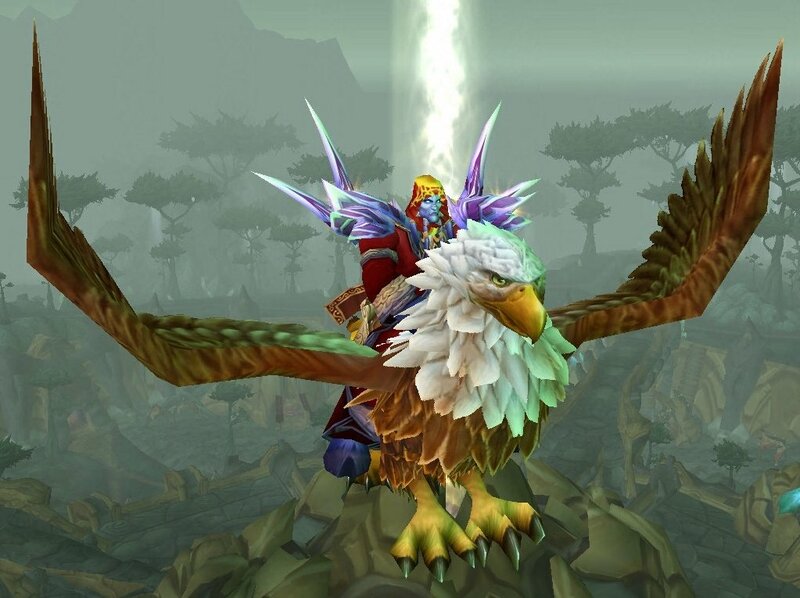 World PvP comes in many forms, yet there is a simple environment model that gets used over and over again. It can be seen in World of Warcraft, EVE, Darkfall, Dark Age of Camelot, and many other past and future games. Rewards for engaging in PvP. Risk associated with entering "PvP" areas. Non-PvP content/rewards in those areas. This simple list describes Isle of Quel'Danas, Tol Barad, and world bosses in WoW; low-security space in EVE; dungeons in Darkfall; Passage of Conflict in DAoC; and any resource node or choke point in any MMORPG with PvP capabilities ever. Risk is "exposing (someone or something valued) to danger, harm, or loss". Something must be risked to have infectious PvP. It could be as minute as lost time on a corpse run, or as harsh as the entire net progress of your character (permadeath). The severity of the potential loss directly correlates to the emotions conjured during those risky situations. The more the player risks, and thus the greater the consequences, then the more intense the emotions associated with PvP events (fear, thrill, fiero, agony, anger). Adrenaline can be addictive and binds players to the game (or makes them run in terror). "What a rush!" People are risk adverse and are afraid of losing value. But the beauty of MMORPGs is that none of it matters! It's all make-believe. Make-believe squid-monster riding giant eagle-horse. The Non-PvP content in the zone attracts "grazers": players that are not looking for a fight, and will be tackled by a tiger if they don't pay attention. These players serve as content for the hunters (and the hunters provide thrilling experiences for the grazers--hooray symbiosis!). If this hunter/hunted paradigm is used, it is a good idea to include tools that allow players to evade or to truly hunt other players (foot tracks, dead mobs, chat, scanners, etc.). Assuming players are frequenting zones that follow this model, it is likely that World PvP will foster. The combat itself has to be vaguely interesting in order to motivate players to use it, so dull combat can thwart any attempts to create this environment. World PvP is an emergent dynamic and a powerful aesthetic of combat, aggression rules, and scarce resources. The fundamental mechanics need to be solid first.